Having an excellent visual eye is only a part of photographer Kym Griffith’s profile. 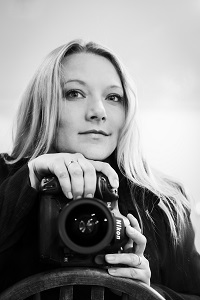 In her early 30’s and with two young sons Kym had already worked as a graphic designer for seven years before establishing her own wedding photography business 5 years ago . The Melbourne born RMIT trained Kym had little trouble attracting clients with her original style and professional results but nevertheless over the last eighteen months with the spike in demand many competitors began to enter the market and she noticed a drift down in jobs. “I’d moved to another part of Melbourne, Gembrook which is close to the Dandenong Ranges and so lost some business contacts, and more people were coming into the field. And when I really reviewed everything, I knew that my website wasn’t doing all it should be to attract those customers who responded to quick uploads when they were searching for their event.” Young couples often tend to plan their big day researching on tablets, but Kym’s Flash website would not allow this. Never one to rest on her laurels, she is working on upgrading an online presence and has listed the business on wedding websites. She has also put into motion a number of strategies to widen her network and in the process help the whole business community. Offering to stage a family portrait day through the local school was met with great enthusiasm, and while she kept her costs low (and so did not see this as highly profitable), the contacts made were invaluable. It’s interesting to study Kym’s techniques because as she has to work within a tight budget she knows how to innovate, using free resources such as social media with skill and being on the lookout for what will move her forward, which included tapping into government resources set up to help small businesses. She believes that being involved with the local community is always worthwhile –“and it doesn’t involve cash flows or expenses!” Certainly her management involvement in the local newspaper has helped her integrate with other small businesses and keep residents in touch with activities and opportunities in their area. “Hard work”, says Kym, who is acting as editor and researcher, - even sorting out bimonthly distribution of the local paper – “but through this in October we set up an inaugural Wedding Expo with Emerald Business Group in a central venue and brought together various products and services.” A big crowd turned up on the day and Kym was able to build on her data base of potential customers for future projects. This brings us to SBMS’ involvement with this very creative and energetic lady. According to Kym she has no shortage of ideas for new projects – “but when you’re working for yourself it’s difficult to bounce your ideas off anyone, and just to try things out. I’d decided on another business strand to build on the photography, but before I made any outlay it was important to talk it through with someone experienced". She chose the Small Business Mentoring Service (SBMS) the highly regarded non-government non-profit organisation supported by Small Business Victoria. SBMS also delivers new schemes such as its workshop series, Women in Business, now being delivered through local councils across the state with the support of the State Government. The first session meant taking a snapshot of Kym’s business profile, and a lack of studio space came up as one factor having some negative effect on her commissions. It was agreed to carefully research wedding market trends and consider if her focus should shift elsewhere. She recognised the need to revise costings and research her competitors as there were some indications that her service was slightly under-priced. And Kym resolved to collect more information via feedback forms to find out more about her customers. The central issue, however was that Kym had been inspired when she came across a range of silver plated jewellery which holds photographs inside items such as pendants, cuff links and bangles – perfect she thought for keepsakes, not only for weddings but many other celebratory events. While it meant making adjustments to her business model, there was an opportunity to create a unique point of difference by adding the additional element to her business. The range would need to be imported and she had a sample range to start creating her plan– what was mentor Maggie Knight’s view about the project? Luckily, Kym’s SBMS session took place just ahead of the Wedding Expo because what she needed was to use the opportunity for some market probing and begin trialling the sample range and price levels. This ensured she had data before taking the next step and investing funds for stock. A quick check confirmed that keepsakes are a high growth consumer item for Australia even though the concept is quite new. So, in early October Lovepix was launched on the back of the event, with very positive results. Kym had taken the precaution to register the name and logo and her market research has indicated there will be demand for the items as wedding keepsakes, for new parents and for people with young children. The future of the mainly online business looks promising with an important target sector with other photographers. She has established a lead time by offering a 3 week delivery on orders and therefore does not need to outlay too heavily before the stock arrives. Her Facebook page will become a key sales point and should help boost awareness as well as sales, especially given her aptitude for inserting lots of visuals to keep up interest. This is still a new business but it’s a good choice given Kym’s background and is potentially valuable add-on to her core business. The mentor and Kym discussed drawing up a separate business plan with projections that might even include local manufacture of some of the components. Maggie also wants Kym to consider finding some administrative help to assist with marketing the new range by contacting photographic firms, etc. There are nearby colleges that could provide someone to work part time, or even place a final year student, working in the same field of photography and or marketing, for an internship until Kym makes enough income to take on an employee. She would also benefit by outsourcing her accounts and some parts of the marketing plan. 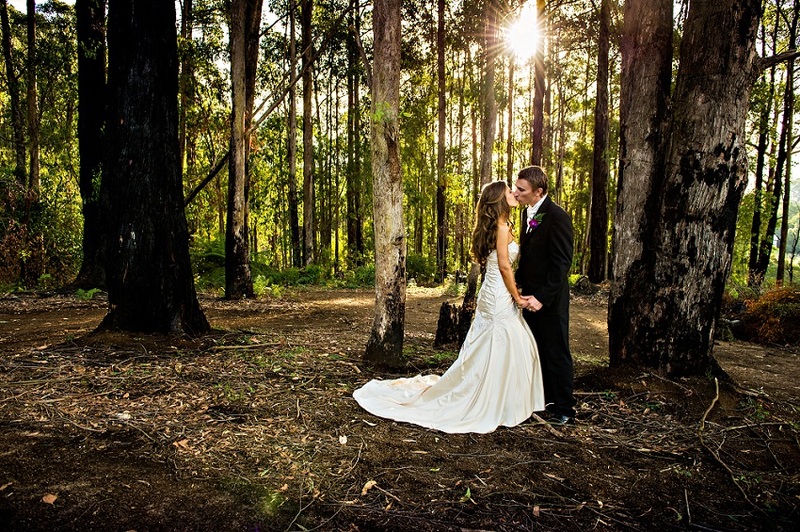 With a wonderful bushland setting Kym has the best of everything; a perfect backdrop to continue with her outstanding photographs within a community where she hopes to build up a strong business alongside her family role.